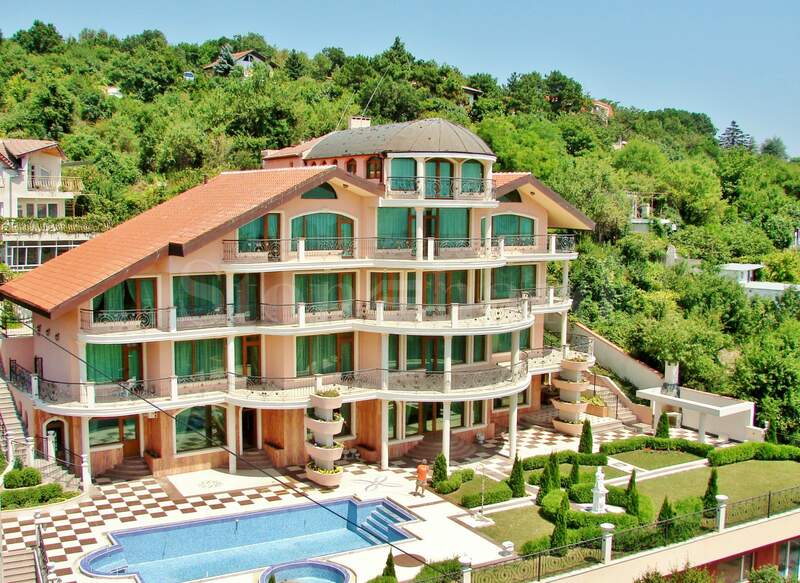 The residence is located on a mountain slope above St. St. Constantine and Helena resort, the panoramic road Varna-Golden Sands and the Botanical Garden. A panoramic view reveals from the property to the sea, the city and the resort complex. The development is built in a classical Mediterranean style, with a silhouette resembling a bird in flight. There are two 4 m columns in front of the main entrance and 3-level fountain in front of the entrance. The entire residence has a southeastern exposure, oriented towards the sea. Each of the floors has spacious terraces, with beautiful panoramic views. The residence features landscaped yard with lawns, flowers and greenery, a swimming pool 15m x 6m with a Jacuzzi, a children’s pool with a radius of 3 m and entertainment area, 40 deck chair. The highest standards for solid construction have been applied, using natural materials: stone, marble, granite, wrought iron, etc. The first floor is covered entirely with slabs of Iranian travertine stone in a pleasing pale pink color, complemented in places with white and brown marble. The living rooms have vaulted ceilings with colored recessed lighting in large round shapes, 5m in diameter. There are exquisite baroque-style fireplaces in the living rooms on each floor. The floors are covered with Spanish terra cotta tiles, accented with large beautiful stone medallions. The property is fully furnished with high quality baroque-style furniture of white hardwood and natural silk curtains. The light fittings are also baroque in style, with crystal chandeliers and lamps. The bathrooms are spacious, covered in Spanish tiles, with built-in baths, marble countertops and gilded taps. 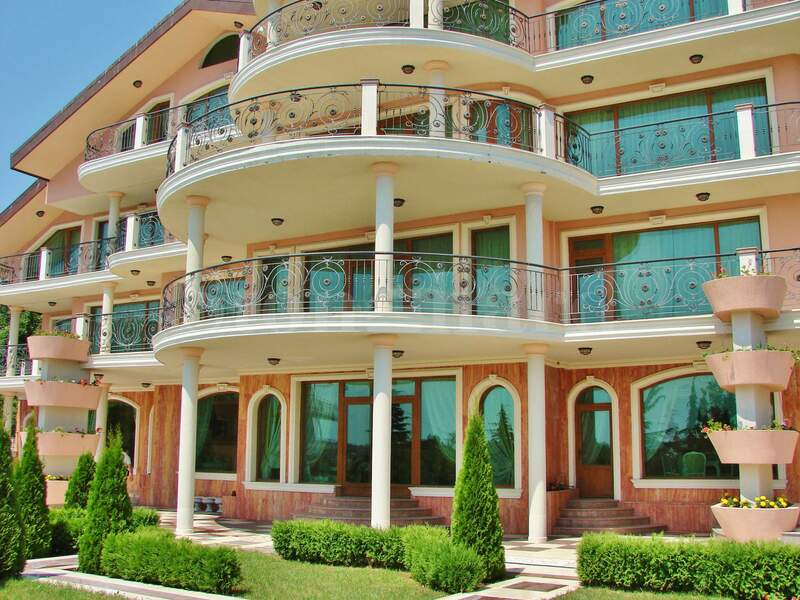 All premises in the residence are air-conditioned. Total area of the building is 1,200 sq.m and the residential area is 2,000 sq.m. The residence was completed in 2013.